On September 21st, the business news magazine Fortune published an article online which, for some, could ostensibly pass as a piece of journalism. The subject of the article is an announcement by San Francisco, CA-based content delivery network provider CloudFlare that the company had paid out the first $7,500 from a $100,000 war chest dubbed Project Jengo; the Fortune piece reported that Cloudflare had awarded $15,000, which seems to be erroneous based on the Cloudflare post announcing the payments. Cloudflare is using Project Jengo in an attempt to discover prior art to invalidate a series of patents held by Boston, MA-based intellectual property acquisition firm Blackbird Technologies. Cloudflare is engaged in this campaign against Blackbird, which it calls a “notorious patent troll,” after Blackbird filed a patent infringement suit against Cloudflare this March in the District of Delaware. In Blackbird’s complaint, the firm alleged that Cloudflare offered certain web content services to its customers which infringe upon U.S. Patent No. 6453335, titled Providing an Internet Third Party Data Channel. Issued in September 2002, the ‘335 patent covers a method for providing an Internet third party data channel in a way that introduces third party data in two-party communication between a server and a client in order to provide value-added services to that communication. Consumers browsing the Internet could experience this technology in various ways. For instance, instead of accessing a blank error page when trying to visit a broken URL link, the technology covered by the ‘335 patent inserts third-party advertising or other cached information to be displayed on the web page. “No, we are not a patent troll,” said Wendy Verlander, president and CEO of Blackbird. “We are not a law firm. We are a company that acquires patents and asserts them on our own behalf, and then we give the previous patent owner a percentage of the revenue.” Assuming that being a troll requires some sort of acting in bad faith on the part of the troll, Verlander said that the team at Blackbird strongly feels as though they’re not the kind of bad actor which constitutes a troll. “We’re providing a well-needed option to independent inventors and small companies so they can see some real value out of their patents. In today’s climate, it’s very challenging to see value. Our business model is to try and do that,” Verlander said, noting that Blackbird operates in the context of being its own company and not a law firm representing patent owners in cases. Unfortunately, readers of Fortune would have very little understanding of the actual operational context for Blackbird thanks to the fake news published by that media outlet. Fortune tech writer Jeff John Roberts, who penned this particular article, regurgitates Cloudflare’s claims that Blackbird “may be engaging in illegal fee-splitting arrangements with patent owners” simply because it is run by people who have experience as patent litigators. It’s true that Blackbird is staffed with many lawyers coming from leading firms in patent law like Fish & Richardson and Kirkland & Ellis, but Blackbird is asserting the patents on their own behalf. Although the patent owner gets a share of the revenues from patent assertion, there is nothing unethical about the arrangement. Because Blackbird is not a law firm and does not receive fees, there are no fees to split. But don’t tell that to the editorial staff at Fortune. They apparently don’t want something like fact to get in the way of a fake, juicy patent troll narrative that makes patent owners look like villains. A video embedded within the article on a different case entirely involving Symantec provides further proof that Fortune is trying to stuff its readers with a nonsensical anti-patent narrative. In a short news clip about the invalidation of patents asserted against Symantec, a narrator begins by saying, “The highly controversial software patent may be coming to an end.” Verlander, an experienced patent litigator who would have a good sense of the validity of patents owned by her company, thinks that there isn’t anything even remotely controversial about the ‘335 patent asserted against Cloudflare. “There’s been a debate about software patents for decades and whether or not patents are something that promotes innovation or doesn’t,” Verlander said. “People can have that debate. Obviously, we think that you want to motivate people to make software inventions and giving them patents is certainly one way to do that.” Although she understands the debate, Verlander is of the belief that the playing field regarding the patentability of software should be more consistent. “Cloudflare claims to have about 150 patent assets. Surely, some of them are software, but those patents aren’t controversial to them. That’s a kind of hypocrisy, that their patents are important and valuable whereas other software patents are damaging to the industry,” Verlander said. Hypocrisy is rife in the Fortune article on this subject and, indeed, there are multiple aspects of the magazine’s Cloudflare coverage which illustrate the subjectivity of the published material. Nearly 90 percent of all media coverage on patent matters which includes the term “patent troll” show high levels of subjectivity, which should not be a goal of journalism, according to a media study issued this summer by the Center for Intellectual Property Understanding. (Disclaimer: The author of this article is the author and main researcher for that study.) That study identified a large percentage of Fortune articles on patent infringement which were contributed by news wire services, a pretty good clue that the magazine doesn’t invest much of its own resources on it. Further, the study found that tech publications were more likely to editorialize on subjects related to patent infringement. While Fortune is a business magazine, Roberts is a tech writer and has been writing on law and tech topics for Fortune since May 2015 according to his LinkedIn page. Roberts also has a lot of experience writing for publications geared towards tech news having spent nearly four years as a legal reporter for the tech publication Gigaom. Roberts has written on Cloudflare’s legal battle against Blackbird and time and time again he has labelled Blackbird as a troll. Truly, if the name “Jeff John Roberts” appears in the byline for an article covering any patent issue, discerning readers should probably just pass on reading the content in its entirety. Interestingly, Roberts tries to make it appear as though he gave Blackbird an opportunity to comment, noting that “Blackbird did not immediately respond to an email requesting comment.” That word “immediately” gives a pretty good sense of how much time Fortune gave Blackbird to respond to the article. “They actually contacted me right before they went to press,” Verlander said. “After speaking with that same gentleman previously, it became clear to us that he had a bent that was not going to be positive towards us. It didn’t make a lot of sense for us to respond, it was clear that we weren’t going to change anybody’s mind by responding.” Such a lack of journalistic integrity by someone who is on the staff at Fortune really should call into question whether there might be more widespread ethical issues throughout the publication’s editorial team. Another thing that most readers of Roberts’ article might not understand clearly is that the patent being challenged by Cloudflare is not the patent being asserted by Blackbird. Cloudflare’s Project Jengo targets a number of Blackbird patents including the ‘335 patent, but the Fortune article instead cites to U.S. Patent No. 7797448, titled GPS-Internet Linkage. It’s almost as if the author has no clue about the actual litigation itself beyond the press releases which continue to issue from Cloudflare. In any event, Blackbird appears more than ready to withstand the bluster with which Cloudflare is trying to use in order to sway the court of public opinion. Although Verlander said that she couldn’t comment on ongoing litigation, she said that Blackbird’s legal team hasn’t seen any argument made by Cloudflare which gives any indication that Blackbird’s case lacks merit. “We’ve consistently said that if they show that they don’t infringe or the patent is invalid, then we would drop the case,” Verlander said. “They haven’t done either.” Indeed, the extrajudicial statements being made by Cloudflare could do more to hurt its own case as Blackbird’s counsel is able to use those words against them in the litigation. “I think that it’s very unfair and uninformed the way that a lot of media outlets refer to everyone who doesn’t manufacture as a patent troll or a bad actor,” Verlander said. “It doesn’t make sense if people just thought about it a little bit. A lot of inventors would love to manufacture but don’t have the means or wherewithal to do it.” This is precisely why companies like Blackbird exist, to provide an avenue through which inventors can see some revenue from their patent grants. “Another really important aspect is, in a global context, what happens when you cut out small innovators, what happens to an economy? If we as a society decide that we no longer want to reward smaller players for innovations they’re making, I think it would have a really negative impact on the economy and innovation space. I think we’re seeing that a little bit now.” Verlander acknowledged that there are some bad actors out there who acquire and assert patents but called it “short-sighted” to label every entity which doesn’t manufacture a product as a patent troll. “These days, it is almost impossible for individual inventors and small companies to make money from their patents. The system is stacked against them.” That sounds right. It is a statement from Blackbird’s website. Cloudfare is trying to fend off patent infringement assertions by hiring what they call “bounty hunters” for finding invalidating prior art. That is their right, but it has of course nothing to do with supporting innovation. It basically shows that Cloudfare has not done its homework in assessing freedom to operate and they try to get away with that after allegations of infringement. While Cloudfare is paying “bounty hunters” for finding prior art, Cloudfare is utterly silent about acquiring valid patents or taking a license on valid patents. And that is exactly what the interest of companies like Cloudfare is: rather paying $ 500 to bounty hunters than paying a decent license fee to inventors. That is why Cloudfare is against “the new model” of Blackbird and other patent owners. (a “license agreement”). It seems to me that Blackbird, as patent owner and experienced litigators, probably has done a careful analysis on validity and infringement of their portfolio. The way Blackbird operates and the comments by its CEO all sound very reasonable. It suggests that small and independent patent owners should consider Blackbird to deal with potential infringers like Cloudfare, who appear completely unwilling to engage in reasonable licensing discussions. Great and informative article Steve. If those infringers can hire bounty hunters to find invalidating “prior art” then why inventors like myself can’t also hire bounty hunters (on contingency basis bass on eventual payoff) to identify and document all infringers ? The patent system is under attack, and has been for about 10 years in my estimation. It has been under attack by large multi-national manufacturing companies that find it inconvenient to respect patent rights owned by individuals and small to mid-sized companies. But it is not time to give up on the patent system. Rather, it is time to stand up and fight for what is right. The number of individuals and small to mid-sized companies that own patents FAR OUTNUMBER the large infringers who are trying to destroy patents and patent rights. If you give up, they win. Whether you’re a globalist or a nationalist, patents help your constituents. The profession and the clients favoring strong patent rights — Bio, Pharma, small business — have failed to have a favorable message in the national debate. I hear and applaud your message. Quite in fact, I have explained to angry dude that his message actually plays in favor of the Infringers Rights groups. It is the goal of the Infringers Rights groups to so disillusion inventors that the game once again becomes a sport of Kings. Yes, angry dude is angry (and probably with very good reason). But to constantly harp with the message of “go away” is simply the wrong message. 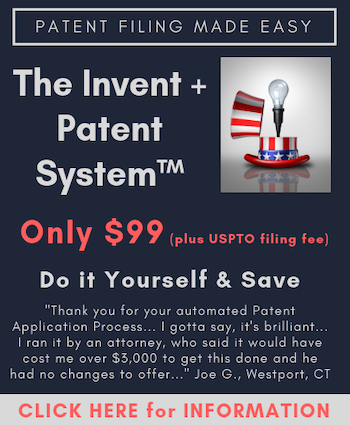 MANY here do care about the patent system and are active in attempting to salvage that system and return it once more into the type of system that earned the praise of President Lincoln. This era is NOT the first era that the patent system has been attacked. The END is simply not upon us – unless you heed angry dude’s advice and DO give up. Cloudflare are the unethical ones here by attempting to hide behind the patent troll narrative and continue to steal other people’s intellectual property. If I had a war chest of patents even half the size of Intellectual Ventures, I’d launch so many patent infringement lawsuits against Cloudflare they’d be drowning in patent infringement lawsuits. I’d do it just to defend Blackbird. Blackbird should thank Cloudfare for strengthening Blackbird’s patents (the ones that survive IPR/invalidity). LOL, Jeff Roberts will talk smack about Gene on twitter with the encouragement of Joe Mullen, but won’t visit the comment section to defend his story. Interested in a debate? Highly unlikely. Oh, Jeff Roberts is talking smack about me on Twitter? Interesting. I too doubt he would come here to engage me or others. His knowledge of the patent system is woefully lacking, and his “reporting” is entirely one-sided. Pure advocacy. Cloudflare brought an innovation to market – creating jobs and tax revenue. Without this commercialization – no jobs and no tax revenue. Congress recognizes this and will continue to side with small software innovators bringing products to market. Tiburon. The question at this stage is of course if Cloudfare brought its own innovation to market. It doesn’t look like it. Cloudfare has not a sliver of proof that this was its own innovation that it brought to market and it needs to hire “bounty hunters” to find prior art to invalidate a patent on true innovation that it did not invent or own. So, if there is anything that Congress has to recognize it is that small and independent inventors are deliberately being screwed out of their Intellectual Property. Like in other cases (Apple v. University of Wisconsin comes to mind, or even better NPT v. Research in Motion), Cloudfare still has a chance to settle for probably a very reasonable amount of money. But they will not. Because these predators never learn. And eventually Cloudfare may be forced to pay an indecent amount of money for infringing patents. And they deserve it. But then they start whining about the unfairness of the “new model” of the patent system (which is called enforcing your patents). Ternary, Cloudflare service filters and scrubs traffic coming&going to client websites. It is unfair, unjust and undesirable to hold Cloudflare hostage to some 2002 patent on inserting advertising. Make no mistake, Congress too recognizes this warped use of the patent system to hold hostage companies who are employing high-salaries and paying taxes and bringing revenues into the country. Tiburon. What do you mean “holding hostage?” We don’t say that Apple holds consumers hostage for the price of an iPhone. What is in your mind the problem with valid patents? That they are from 2002? That they are on inserting advertising? You do not make a convincing case why paying a decent license fee to a patent owner is unreasonable, unjust, unfair and undesirable. Clearly, you have no problem with Cloudflare paying high salaries for programmers. Do you even understand what a patent is? My impression is that you do not. As a former tech journalist, one must remember that a tech writer for a major publication gets all kinds of perks. He gets to go to fancy events supported by the tech companies, meet with the ego-stoking executive leadership, go to cocktail parties, etc. it is “access compensation.” You see, he might not be for or against small inventors, he might just be protecting his friends and his access. This is the soft bribary of the infornation age. Ternary – “‘335 patent inserts third-party advertising or other cached information to be displayed on the web page” – is highly unrelated to the product Cloudflare commercialized. Sorry but it is you that needs to make the convincing case why someone who did not create any jobs should be allowed to hold hostage a company that created jobs by commercializing a real product that is substantially different from the patent. Tiburon. The law (still) is that if you infringe a patent you are an infringer. If you are not familiar with the law you should read 35 U.S. Code § 271 – Infringement of patent. Which I assume you will not, because you seem basically not interested in facts, but more in irrelevant talking points like ‘creating jobs’ and ‘holding hostage’. You will find that it says nothing about jobs, commercializing or Cloudfare being immune from assertion of infringement. If Cloudfare does not infringe, which is possible, then they are in the clear. Blackbird specifically says that they will consider arguments of non-infringement by Cloudfare and withdraw the allegation if the arguments are convincing. All very reasonable. However, if Cloudfare does infringe, then they should pay. No matter how loud they (and their paid or unpaid collaborators and bounty hunters) scream and yell about innovation that Cloudfare, in case of infringement, does not own. So, that is my convincing case: IT IS THE LAW!